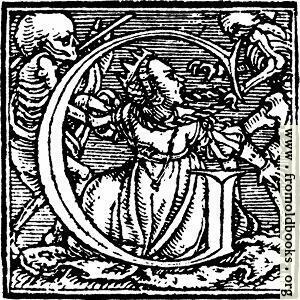 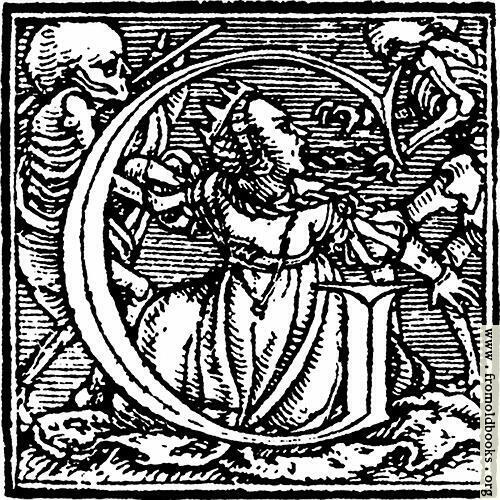 62g.—Initial capital letter “G” from Dance of Death Alphabet. This decorative initial letter “G”, or drop cap, is from an alphabet designed by Hans Holbein and dating from 1523. 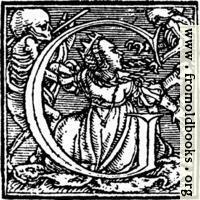 It shows two skeletons, or Death figures, siezing a queen; one skeleton plays the flute, or fife, and the other pulls the queen by her chain of office.